On the initial phone call Arbor Hills Trees and Landscaping begin the process of discovering how we can help a client reinvent their property at night. 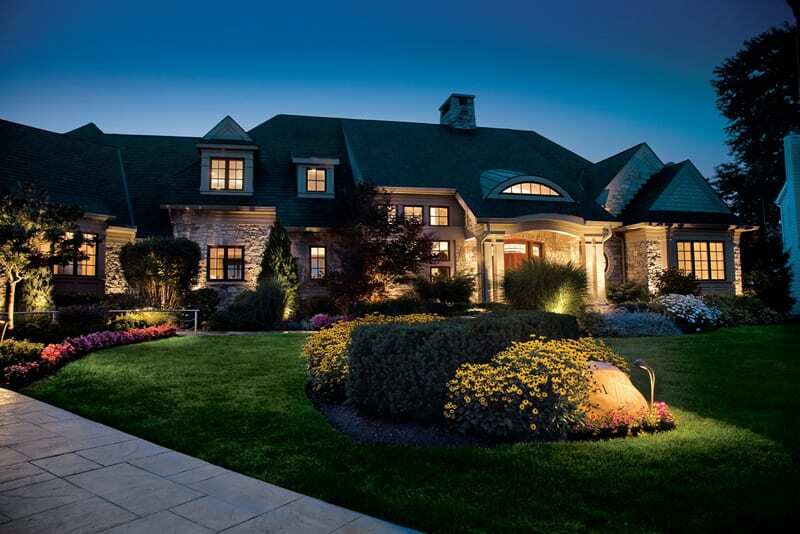 We will discuss any existing landscape lighting systems on the property, the client’s desires and concerns, if there is an initial budget (it can always change later), and address any additional questions they may have. From there, we will set up a time to meet on the property and provide a customized proposal. 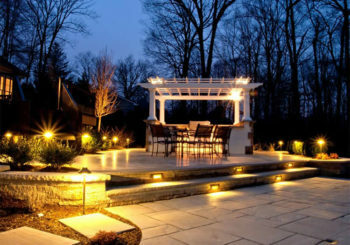 Landscape Lighting Since this is the most important part of the design process, we want to ensure that each potential client feels 100% confident that we take the time to understand their needs and provide a proposal that truly reflects their desires and budget. A typical design appointment takes anywhere from 45 minutes to 1 hour. Each appointment starts with a thorough walkthrough of the entire landscaping on your property to discuss the client’s initial ideas. From there, the designer will make recommendations for fixture placement, lamp type, and transformer locations. They will also take into account future lighting needs; planning ahead for an expandable system can help avoid costly headaches later on. After the property walkthrough, our designer will meet with you inside your home (with your permission) to discuss your thoughts, present demonstration samples from their sample kit, and discuss tentative system layouts that work within your budget requirements. From there, they can generate instant computerized proposals to show different options and price points. Once a final proposal(s) is agreed upon, we email it to you on the spot. At that point, the decision timeframe is completely up to you. When needed, often for large residential and commercial projects, follow-up meetings with other decision-makers and/or contractors can also be scheduled. No matter when the decision is made, we promised to provide a relaxed, no pressure experience that respects the customer’s time and budget. 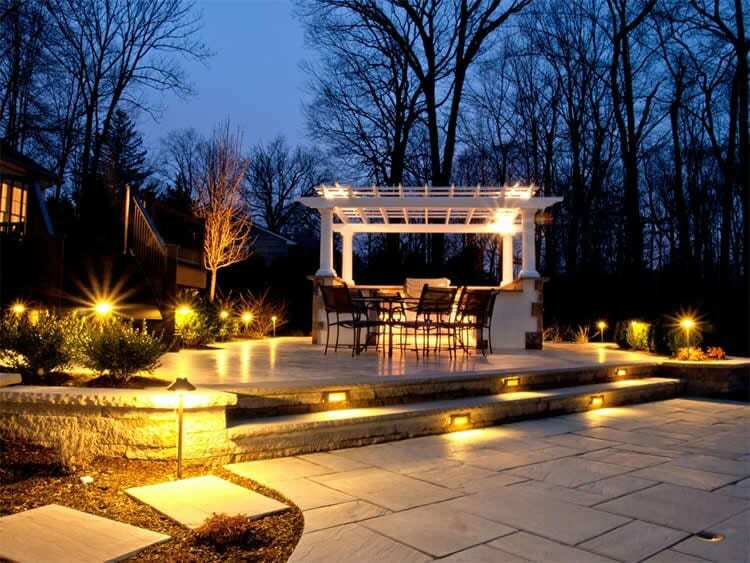 Arbor Hills Trees & Landscaping in Omaha provides high quality Landscape Lighting Design Systems in Omaha. 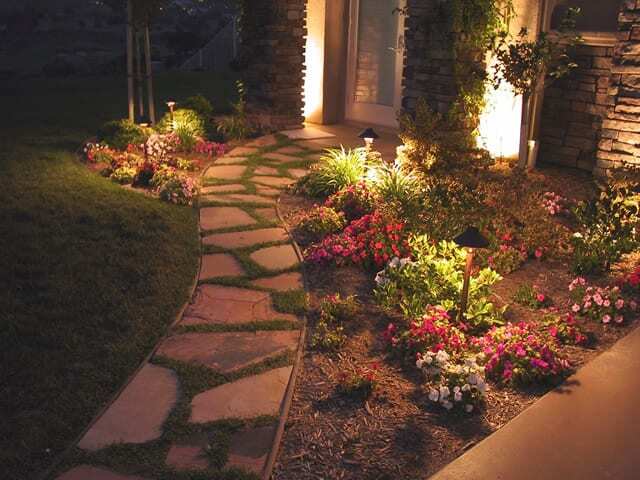 We suggest the use of LED lights for longer life and more natural light. We offer design consultation, wire run sizing and a complete line of Kichler Lighting Products to choose from. 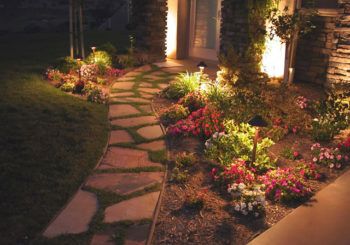 Up lights, Pathway Lights and Control Boxes all with choice of auto timers.